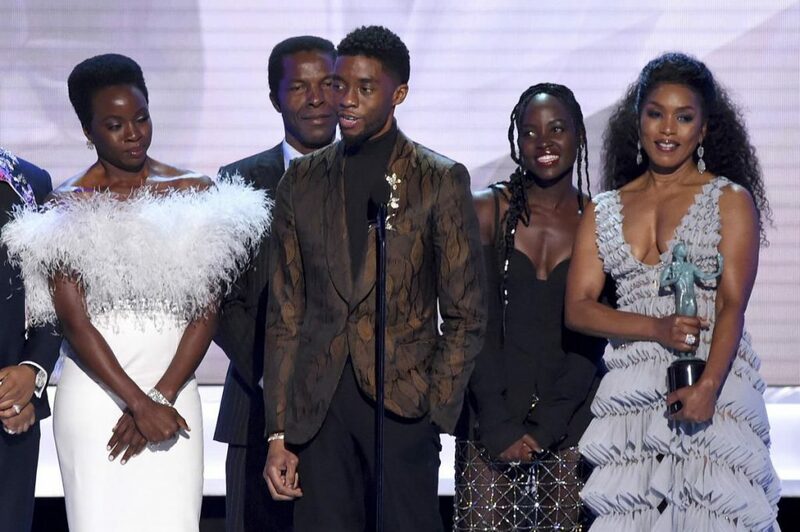 Black Panther has just picked up its latest win at last night’s 25th Screen Actors Guild Awards, which honours the best film and television performances of the year. Ryan Coogler’s superhero epic — which stars Chadwick Boseman, Danai Gurira, Michael B. Jordan, Lupita Nyong’o, Angela Bassett, Winston Duke, and more — claimed the top film prize at Sunday night’s ceremony, beating out fellow nominees A Star Is Born, BlacKkKlansman, Bohemian Rhapsody, and Crazy Rich Asians. This win is coming just a week after the movie made history – becoming the first superhero movie to be nominated for Best Picture at the Oscars. The Marvel blockbuster also racked up seven nominations, including Best Editing and Best Original Song. Black Panther is already having an impressive movie award season and we can’t how to see how it will perform at the Oscars.